The group of 4 cooking classes will be conducted by Meryl Hunte, a certified holistic health coach and home cook who works with parents to foster healthier relationships with their kids through cooking. 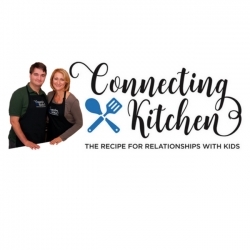 Connecting Kitchen runs a website about a mother who has found a way to connect with her son through cooking. Her mission is to inspire other parents to do the same. Charlotte, NC, February 24, 2018 --(PR.com)-- Connecting Kitchen announces its first culinary program, Recipes and Relationships. The group of 4 cooking classes will be conducted by Meryl Hunte, a certified holistic health coach and home cook who works with parents to foster healthier relationships with their kids through cooking. Connecting Kitchen has a website at ConnectingKitchen.com. The website is not just about cooking, but about a mother who has found a way to connect with her son. Her mission is to inspire other parents to do the same. Married for over 25 years and mother of 3 children, Meryl is the creator of and works as a health coach at the Connecting Kitchen video blog. In her blog she shares about everything that she values in life and inspires others to make small changes in daily eating and relationship habits to move towards their healthiest, happiest, and most meaningful life. All classes are from 11 am – 1 pm. In the first 3 sessions, Meryl will be cooking with and coaching the parents. In the last session, the parents and their kids will cook together. For $150, attendees will learn about how what they eat impacts their health and wellness and at the same time spend quality time with their kids in the kitchen. Sign up is available for the classes at ConnectingKitchen.com on the Services page or contact them via the contact page. The website ConnectingKitchen.com also offers other services like Holistic Health Coaching and Team Building activities. You can watch the videos on their site to get a feel for what cooking with Meryl is all about. A podcast interview with Meryl can also be found in the site's homepage at the middle right portion. Meryl is a holistic health and wellness coach with a certificate from the Institute of Integrative Nutrition in New York City, New York.